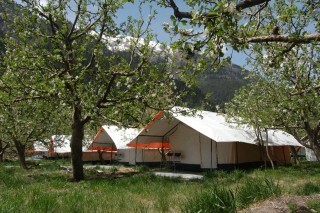 A total of ten Swiss tents are scattered across the orchard, along with a large dining tent in the middle. 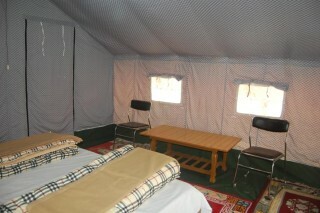 The tents are clean, roomy, well lit and pitched on leveled concrete and every single tent has a clean and hygienic bathroom attached to it with well running water supply and electricity. Utmost care has been taken not to spoil the natural ambience of the apple orchard, where the sweet flavor of apples and the gentle song of the Baspa river will mesmerize you away from the memory of urban noise. Sangla Valley is like a jewel in Kinnaur District, it is hardly 210 kms from Shimla and barely 70 kms from the Tibetan Border. A most exciting thing about Sangla is the clear & close view of the Himalayan Peaks in their pristine glory visible from here. Spread over an acre of land on the bank of Baspa River, at a height of 2,700mts, the campsite is a beautiful apple orchard in the Sangla valley. 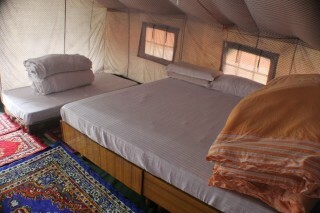 Camping in Sangla Valley is the best way to have the adventure in the lapse of the nature. 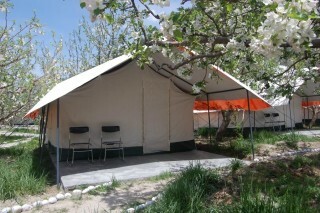 Tents are perfect for the rugged feel, but provide every comfort…aesthetically designed wooden furniture, ecologically friendly furnishings, comfortable twin beds with the finest linen and clean, airy and well ventilated bathrooms with every convenience (geysers, hot running water, showers, flush-able toilets etc). 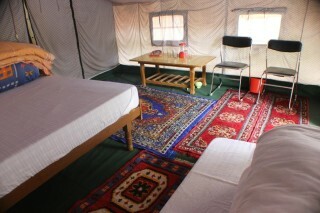 There are private sitting areas where the solitude and surroundings can be enjoyed in privacy and at ease. 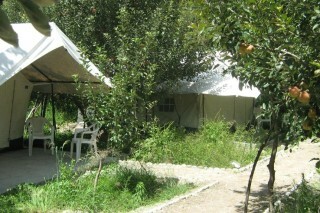 The best months of the year for Camping in Sangla Valley are from March to middle of September to the first half of November. Warm clothes are highly recommended. 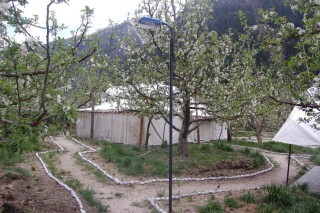 Its picturesque villages will win your hearts & so will the Kinnaur inhabitants.